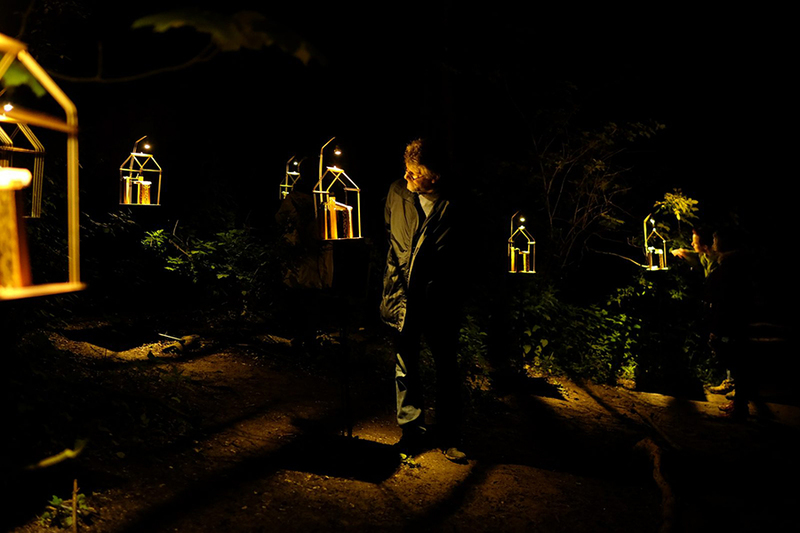 For the Birds took flight to the Brighton Festival 2017 and invited a visiting public on a meditative and immersive journey through a secret South Downs woodland location. 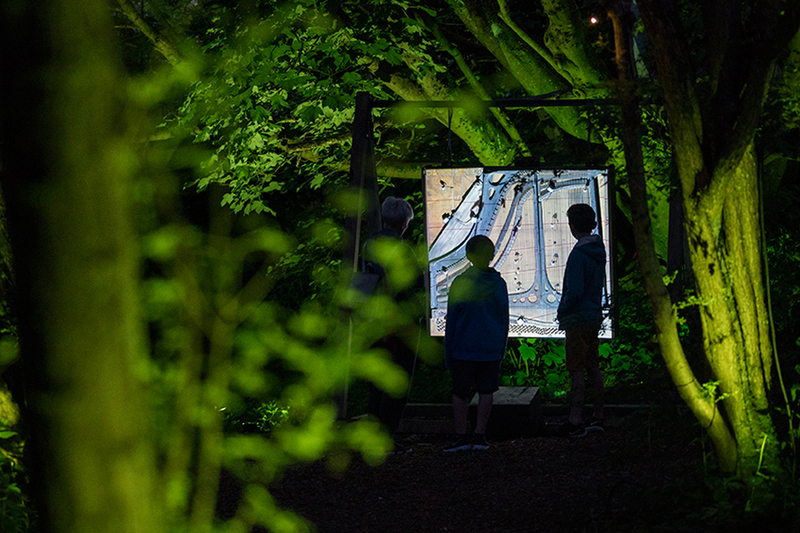 A self-guided journey through a wild landscape after the onset of darkness, whilst transformed by a series of up to thirty bespoke light and sound installations by Kathy Hinde, Jony Easterby, Mark Anderson, Ulf Pedersen, Matthew Olden, and Pippa Taylor. 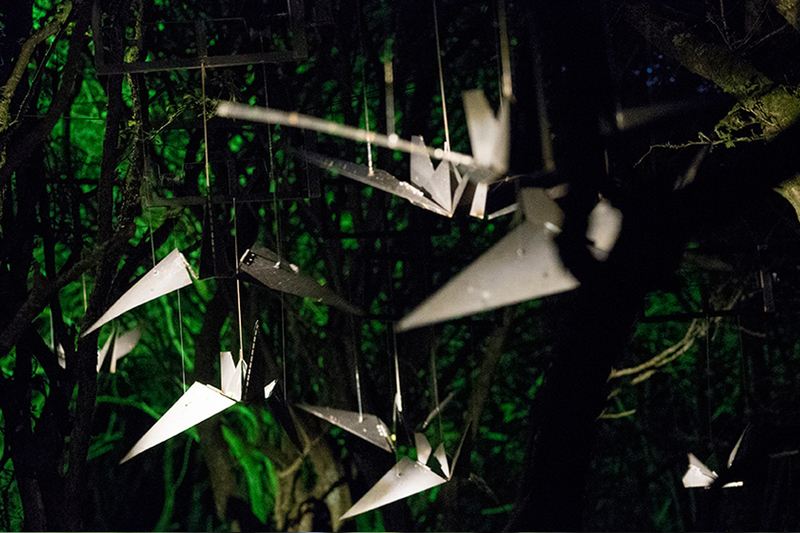 The show ran for over four weeks in May with 17 shows attended by up to 1300 people each night. 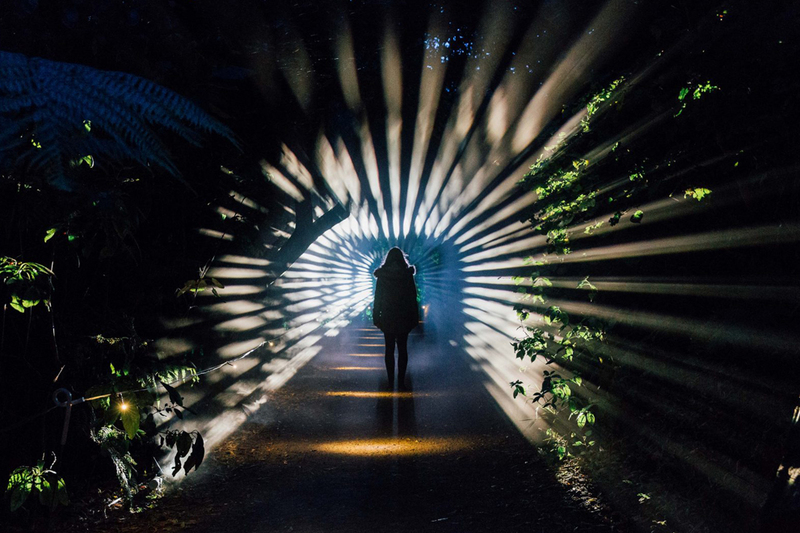 The show broke the box office record at the Brighton Festival attracting over 15,000 people to marvel at the beauties and poignancy of the installations, immersed in the forest at night… some pictures below! 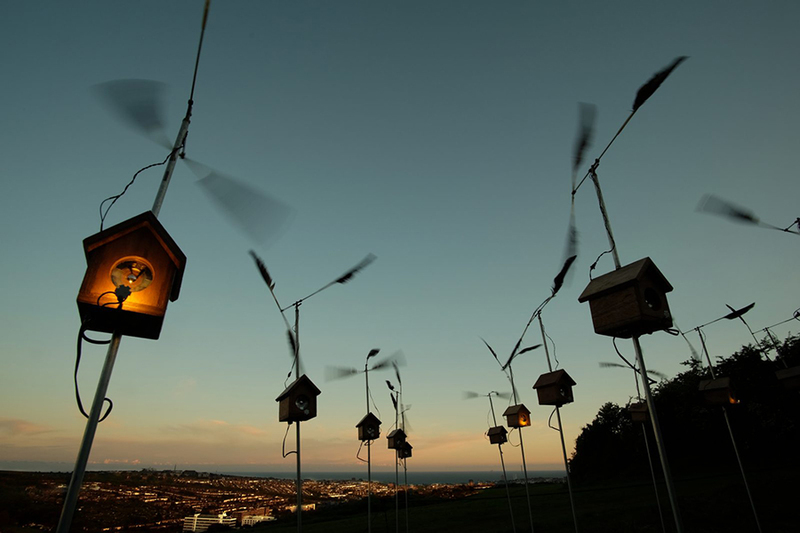 3 June, 2017 | Filed under News and tagged with audio-visual, birds, festival, installation, site-specific.